All-solid-state Li batteries are suitable for the application of 5 V-class cathode materials that can provide high energy densities. However, it is hard to fabricate bulk-type batteries composed of a mixture of active materials and solid electrolytes because of the difficulty of ensuring a conductive path and suppressing the formation of reactive layers at the interface. Herein, we report a simple mechanical processing route to composite cathode granules synthesized from a 5 V-class LiCoPO4 cathode, conductive carbon, and phosphate solid electrolyte. The homogeneously dispersed component particles were granulated during the mechanical treatment. The first discharge capacity is 82 mAh/g for the bulk-type all-solid-state battery obtained by using a composite cathode pellet, polymer solid electrolyte, and Li anode. 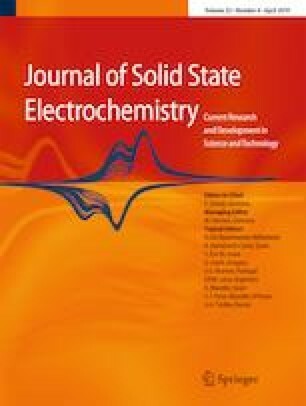 Scanning transmission electron microscope-electron energy loss spectroscopy measurements did not reveal any Co diffusion or the formation of a resistive layer at the interface between LiCoPO4 and the solid electrolyte. 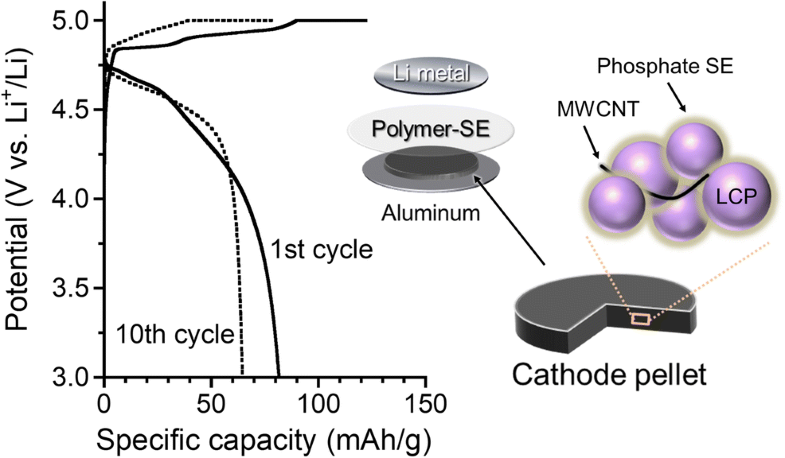 The fabrication of a composite cathode by mechanical treatment is essential for the development of high-energy bulk-type all-solid-state batteries. The online version of this article ( https://doi.org/10.1007/s10008-019-04218-4) contains supplementary material, which is available to authorized users. This study was supported by the project “Applied and Practical LiB Development for Automobile and Multiple Applications” of the New Energy and Industrial Technology Development Organization (NEDO), Japan, and Toyota Motor Corp. The authors thank Dr. Masato Tabuchi (Osaka Soda) for donating polymer SE films.